I do love composer studies. I took piano lessons for years growing up, and that experience created a life-long relationship with music for me. I happen to prefer mostly Baroque and Classical, because it's orderly and melodic and lovely. I don't like dissonance much, so Romantic and Modern composers don't do much for me, although I do find the occasional surprise. We are studying Mozart this term for our composer studies, because (a) I like him and (b) my daughter and I visited Salzburg, Mozart's birthplace, when we visited Austria this past summer with her choir. We happen to be studying the Renaissance this year, and I am focusing a lot of our studies (artists in particular) around things we saw on our trip. Mozart is not a Renaissance composer, but that's okay. Check the Ambleside Online Composer Study page for selections. Make a playlist on GrooveShark or YouTube. Set aside a weekly time, around 20 minutes, to sit down for careful listening. Perhaps read a bit of a biography, if I can find one, or share a little about the life of the composer, and a bit about the specific piece if I can find the information. That's it! My goal is to have my children be familiar enough with Mozart that they can tell his music when compared to others, just as I want them to be able to tell an artist's painting style from other artists'. The Story of Mozart in Words and Music - these Vox Music Master CDs are a wonderful, inexpensive addition to your composer studies. We like to listen to them in the car. The 99 Most Essential Mozart Masterpieces (Full Works Edition) - This is an inexpensive playlist with complete works. Some of the Ambleside selections are in it, but not all. 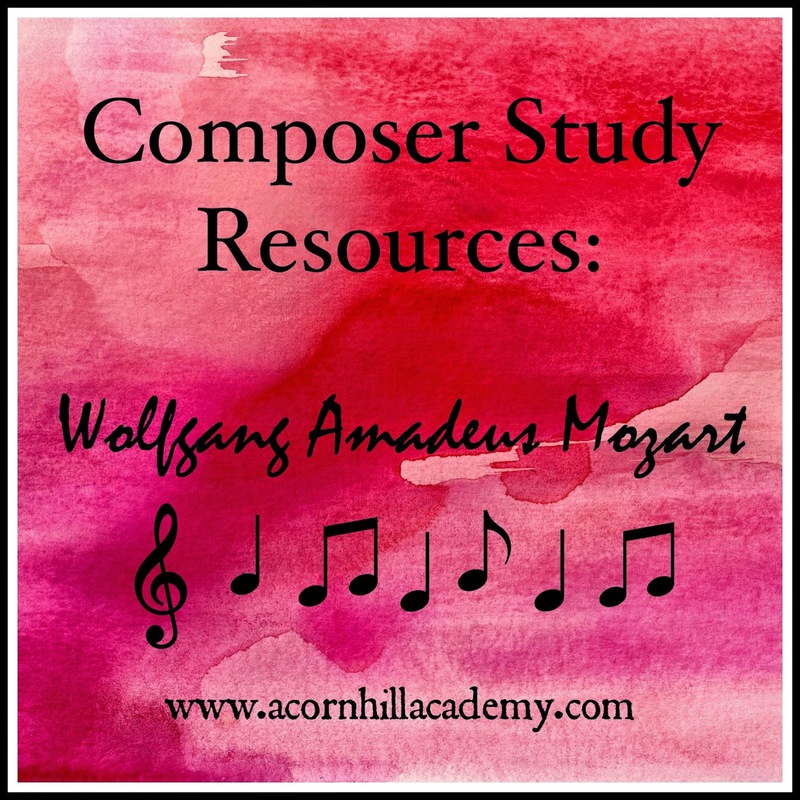 I like to have these playlists available - I find that my oldest daughter, particularly, will find the playlist for our term's composer and play the music while she does her schoolwork. It makes my heart happy when she does that.